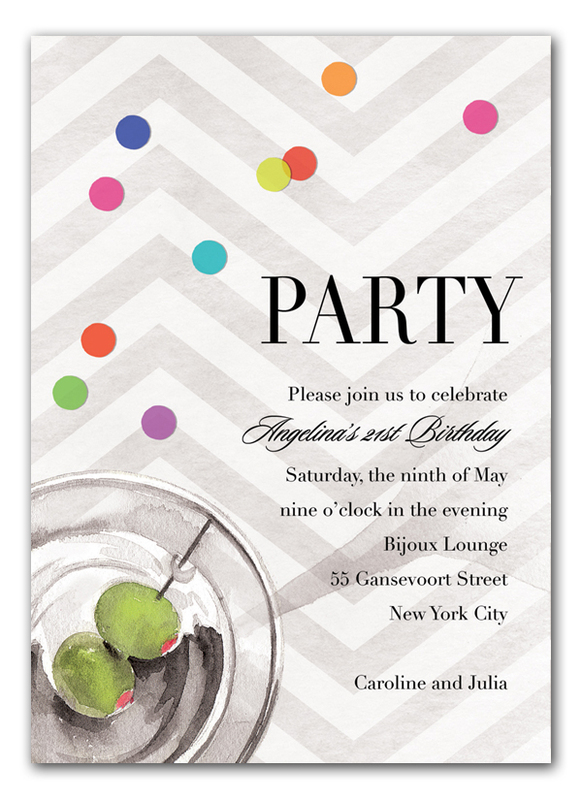 Celebrate in style with this chic party invitation! 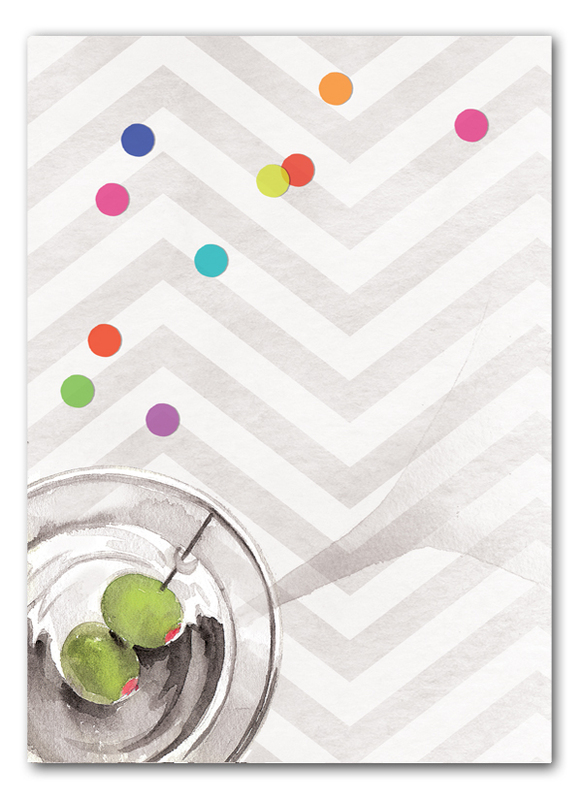 This stylish design from Bonnie Marcus Collection measures 5" x 7" and is printed on luxurious heavyweight 100# paper. A portion of the proceeds from the sale of this product will be donated to breast cancer research and education. 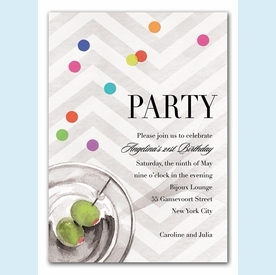 Drop-ships via UPS Ground from NY; add 1 week to production time if ordering custom printing. Minimum order quantity is 2 sets.